Previously, we had talked about odd mythological beings that you may have missed out on from the annals of popular culture. But this time around, we will dabble with familiarity – well, sort of. We are talking about the utterly familiar English language; and quite incredibly, how a part of this seemingly known scope has unfamiliar origins (for most of us). So, without further ado, let us check out ten commonly used English words with sometimes grand and sometimes eccentric mythological origins. 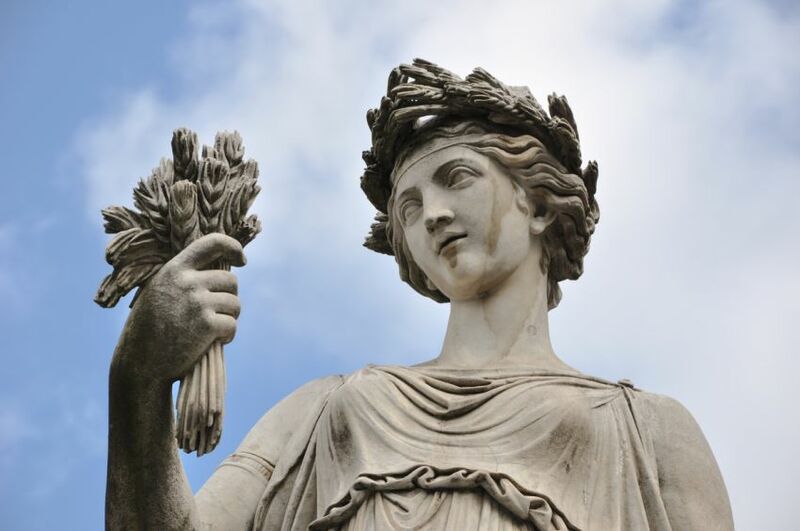 Perhaps one of the most commonly uttered words by parents in the mornings of Western Hemisphere, the term ‘Cereal’ comes from Ceres, the Roman counterpart to Greek goddess Demeter. However, Ceres was not only the Roman goddess of agriculture, but was also associated with grain crops, fertility and the general sense of ‘motherliness’. And what’s more, there was an ancient Roman festival of ‘Cerealia‘ that was held for 7 days in April in honor of Ceres. And on the occasion (according to Ovid’s Fasti), people used to tie blazing torches to the tails of foxes, who were then ceremoniously let loose into the expansive space later known as Circus Maximus – as a symbolic punishment for the creatures’ yearly forays into Roman crop lands that were sacred to Ceres. (*also check this citation). The festival was also marked by what can be termed as collective cos-play with Roman women dressing themselves in white attires to mimic Ceres, who supposedly wandered through earth in lamentation for her abducted daughter Proserpine. In purely scientific terms, Echo can be defined as the reflection of sound that arrives at the listener some time after the emanation of the original sound. And quite aptly, the term comes from its mythic counterpart which is also known as Echo. 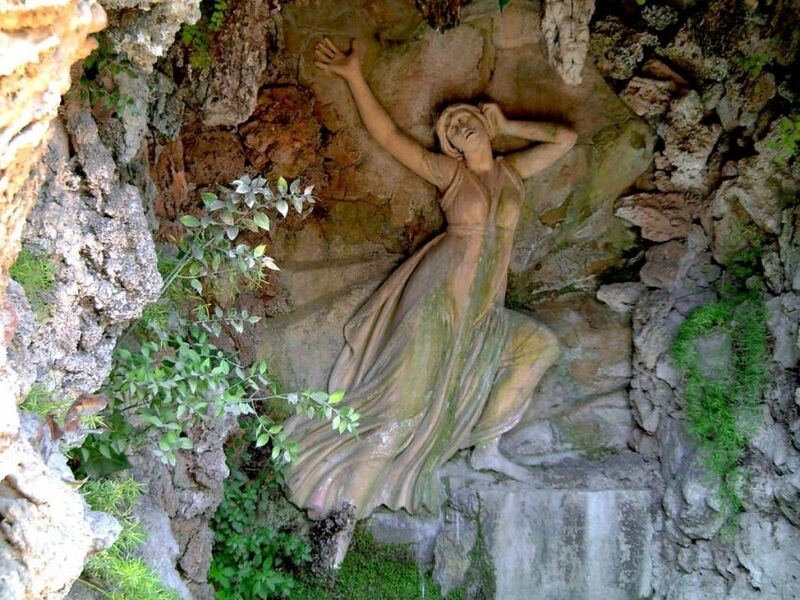 To that end, the mythological Echo was a beautiful yet old mountain nymph who used to distract Hera with fascinating tales, while Zeus (Hera’s husband) sneakily used the opportunity to ‘take advantage’ of other alluring nymphs. As expected, the arrangement didn’t work for long, and Hera in her wrath cursed Echo that snatched away her enticing voice – only leaving her to dully repeat words that other people have shouted. Interestingly, Echo was also known to fall in love with the vain Narcissus, from whom the English word ‘narcissism’ is derived. Today is Friday from where we are writing the article, and in honor of the ‘gateway to the weekend’, we have dug up Friday’s mythic counterpart – Frigg. 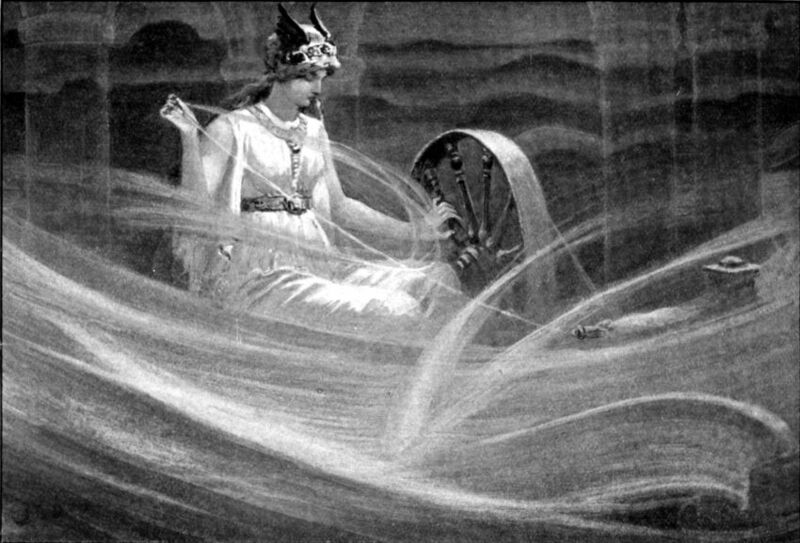 Primarily known as the spouse of the great Odin (who was the chief among Aesir Norse gods) and the Queen of Asgard, goddess Frigg was also known as Frigga and Frija in Germanic paganism. Epitomizing the noble aspects of a devoted wife and motherhood, Frigg additionally possessed the power of prophecy. Yet more renowned is her courageous state of mind, as she decided not to reveal the fates and fortunes from her intrinsic pool of prophetical knowledge. And, since we are ‘harping’ about Norse Mythology and weekdays, Thursday comes from the hammer-wielding Thor. In English, Fury pertains to intense rage or extreme violence. 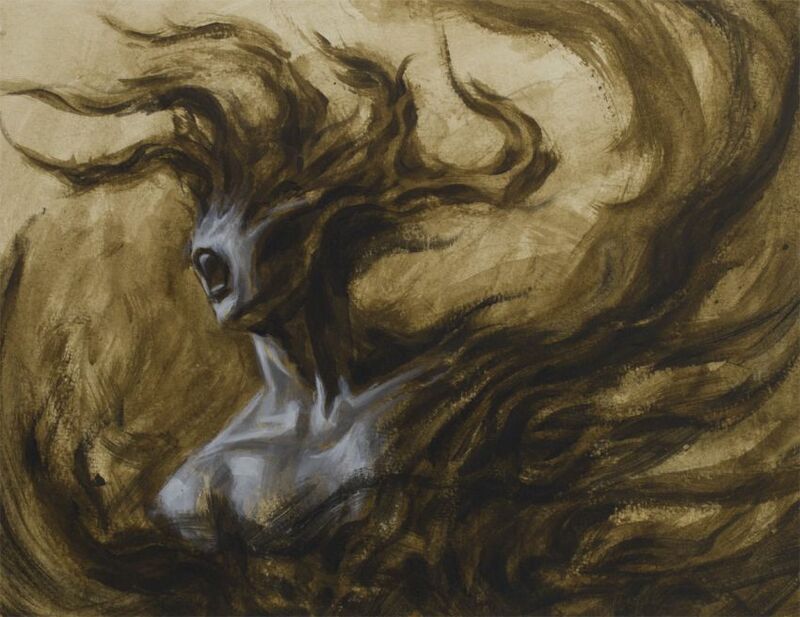 Its legendary counterpart is actually known as ‘Erinyes‘ in Greek Mythology, which in turn was adopted as ‘furia’ in Latin. The namesake ‘furies‘ were depicted as spirits of vengeance who came from the underworld (Erebus) to wreak havoc on men who had broken their sworn oaths. 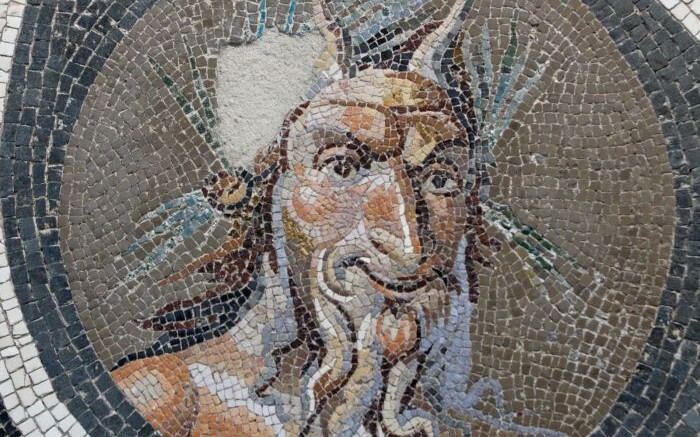 In tune with their chaotic purpose, the furies’ origins are unpleasant to say the least, with most accounts (like Hesiod’s Theogony) relating how the Erinyes sprouted from Uranus’s torn genitalia when he was castrated by his own son Cronus. Oh, and did we use ‘chaotic’ in one of our previous sentences? Well, chaos is derived from Greek ‘Khaos‘ – a void state personified as a primeval God who preceded the creation of the universe. Christian theological traditions define grace as the unrequited love and mercy bestowed upon us by God. However, beyond religious significance, the term is directly translated from Greek χάρις (charis), which pertains to ‘that which brings joy’ – according to the The Harper Collins Bible Dictionary. 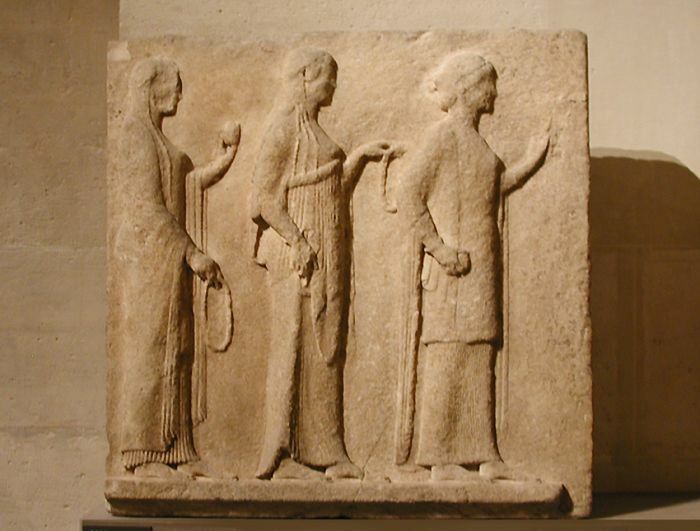 This ‘charis‘ is in turn related to the Charites, a trio of Greek goddesses (Aglaea or Splendor, Euphrosyne or Mirth and Thalia or Good Cheer) who epitomized beauty, charm and even creativity. Unsurprisingly, the Charites remain well represented in the field of subsequent artworks, ranging from the works of Raphael Sanzio to Jean Arp.